A commercial stair lift can show your clients and customers you’re serious about making people feel welcome and independent when they visit your business. If you think your company space cannot accommodate a stair lift, think again. You might be surprised. There are many models of stair lifts. You may find one that’s perfect for your business. There are stair lifts that can work on curved staircases and stair lifts that can work outdoors. Stair lifts allow you to make your facility accessible to every client, guest and patient. People living with mobility issues will not feel unwelcome. They will keep their independence. It is important to choose the right stair lift for your business or facility. Indy Stair Lifts is proud to offer the Indy Pro Curve, a stair lift designed to travel comfortably along every corner of a stair case. 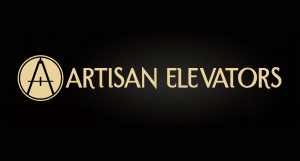 It is created to the exact specifications of your staircase. 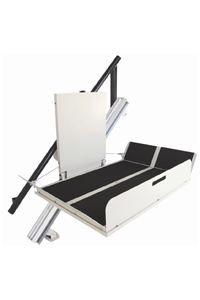 This stair lift can support up to 400 lbs., making it ideal for many businesses. If your business or facility could benefit from an outdoor stair lift, consider the Indy Pro Outdoor stair lift. This stair lift can withstand all types of weather conditions. It offers great flexibility and can support up to 350 lbs. Stair lifts from Indy Stair Lifts make office buildings, doctor’s offices, schools and other commercials less intimidating for those living with mobility issues. Most businesses have to watch the bottom line, so it’s important to know there are different payment options available when you decide the time is right to add a stair lift to your business.